There is plenty of opinion out there about what works and what doesn’t, and let’s be honest, sometimes you have to try a lot of different things before finding the right formula. There are however some basic principles that you should consider when you are using the mobile channel. When it comes to getting messages and page content opened and responded to, the first key component is the first two lines of your mobile message (the text message). We have learned from thousands of client campaigns, the critical components of a) your message, and b) your mobile page content, that drives overall engagement. For the purpose of the article and your complete understanding, ‘engagement’ includes both the message read, AND page content viewed, plus and actions taken on the page as part of your communication or marketing call-to-action. The sequence below is an example of this. Nobody likes to feel they are just another contact in your list. 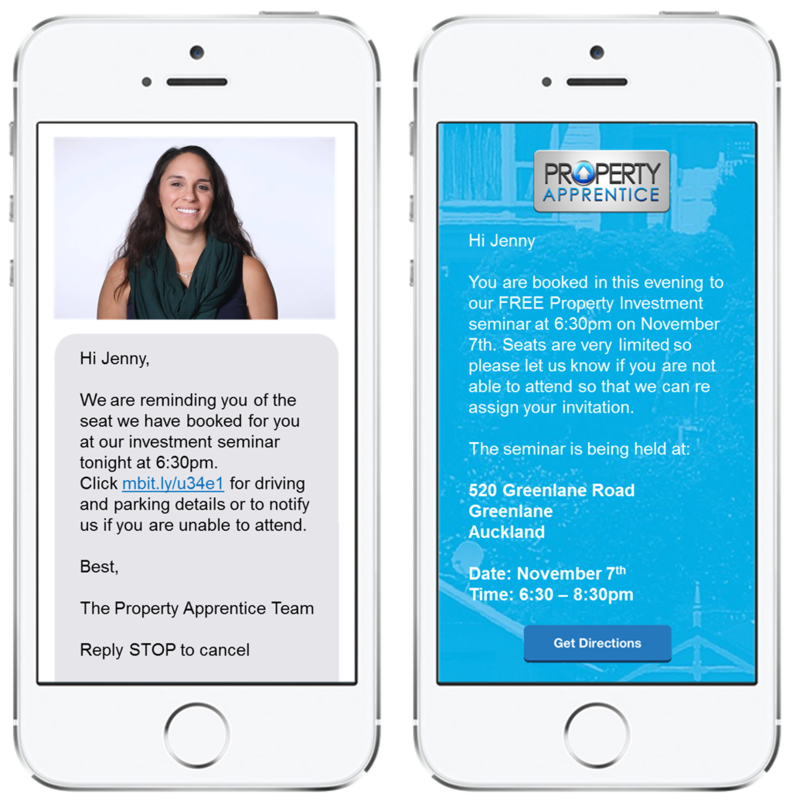 The simple act of personalizing your mobile message (or email for that matter) by using the recipient's name in the subject line and salutation tells your prospect you know who they are, and value them. (And if you're managing your CRM correctly, you should know who they are and just where they are in the buying cycle – or at least be able to find out easily). 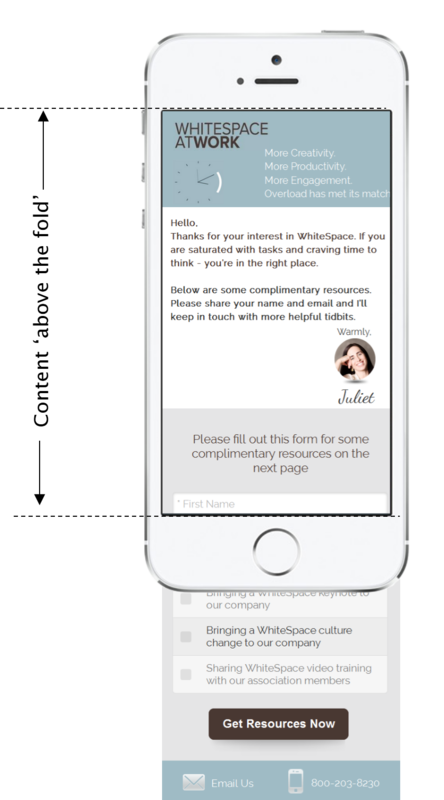 One of the great things about MOBIT is how easy it is to personalize messages and mobile page content. 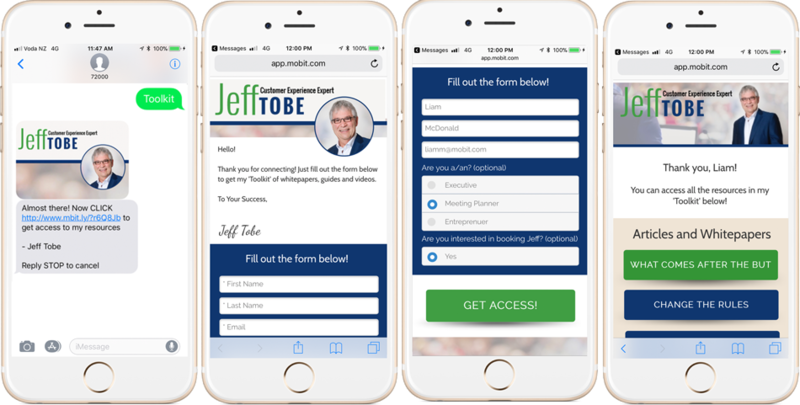 It’s simply a case of deciding which ‘merge field’ you require from your contact in our CRM, and where you want to place this content, either on the initial message, the page content, or both. It is true there are a few cynics out there who, upon seeing a personalized message (mobile or email), sneer and hit delete, but most people are aware and courteous to the fact that they are 'in a marketing campaign sequence' and do not mind your approach, that is of course, as long as they provided you with their express permission. Everybody is busy these days. We get that. Every one of us bemoans the constant invasion of our email inbox. The great thing about mobile messaging is the low levels of spam and the absence of general ‘marketing noise’ across this amazing channel. We have attuned our minds to accept that messages received on this channel are in the main, from a trusted source. Our job at MOBIT is to keep it that way. So make it easy on your clients and prospects by making the first two (2) lines of your message obvious. Let them know what they will gain from clicking on your link. Will it solve a problem? Will it answer a question for them? Will it help them do more of what they doing, and do it better? If your message is obscure, your audience will not take action. Worse, they may unsubscribe from your list. Make sure your initial message makes sense, is error free, and does not unwittingly appear as spam. This means spending a little time thinking through your choice of words, and how you are going to use them. Whilst the mobile channel (text messaging) does not have spam filters, the STOP (unsubscribe) button is always present and will be used if you get this wrong. If you are going to personalise your messaging and mobile page content, make sure you place the merge field in the correct place. Be careful to not over complicate or over simplify things. If there is too much information on the message, you will exhaust the reader before they get to your page message. If there’s not enough information, there’s no incentive to click the link for more information. You also increase your chances of being seen as spam. Questions in the initial message are great for grabbing attention, especially when combined with personalization. It sparks a "you talking to me?" reaction in people. That’s great because it means you have their attention. The important thing to remember however, is to ask a question you have an answer to. All going well, your question will have hit a pain point for which you have the solution. Asked correctly, your question will prompt your client to click on your message link, read about your solution, pick up the phone, and ultimately buy your product or service, subscribe, or hire you. Hey, it worked for the Godfather didn't it? Without going to quite those extremes, if your message content contains a great offer, the better your chances are that they will click through to your MOBIT page. It all comes back to Marketing 101: 'what's in it for me?' (‘Me' being your client in this case). When you give them something they want in the message, they give you something you want. This really comes into its own when you are using a campaign targeted at a particular segment of your list since the offer will ideally be tailored to suit them. Highlighting the offer in the initial message and measuring the MOBIT link clicks (e.g. www.mbit.ly/a93k) and page views will allow you to see if the offer is the right one for that segment. With MOBIT however, you can measure far more than a simple message click through or page view. 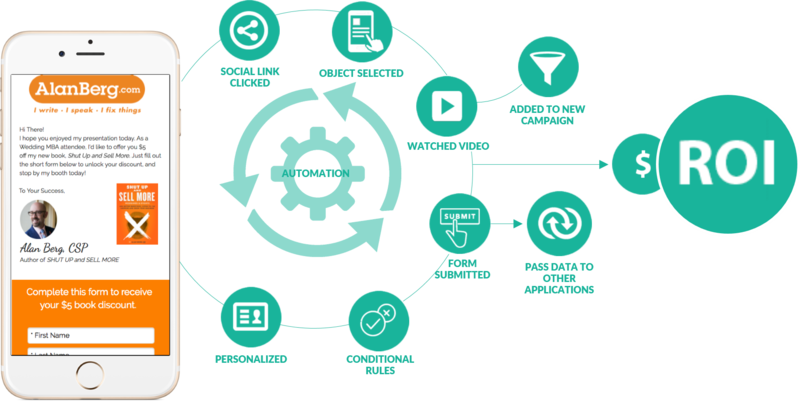 You can record any action (or inaction) on the message or page content, including, video watched, object selected, form completed, social media link clicked, and dozens more page actions. Once a client opens your message and views your MOBIT page, you know they are at least interested in what you have to say – so those first few words are in fact the most important. When it comes to message click through rates, there are many factors outside of your control, but of all those within your control, the initial message and first mobile page is the easiest and most effective to address and get right. Keep It Above The Belt! The objective of your marketing or communication piece is always in two stages, 1) the message itself, and 2) the mobile page content. For the page content (e.g. www.mbit.ly/132df7) the first view of the page is often referred to as ‘above the fold’. Whilst MOBIT pages can be as long as you would like, the first read, or ‘above the fold’ content is most important. Make sure you put time into this area of your content. It will pay dividends in the long term.